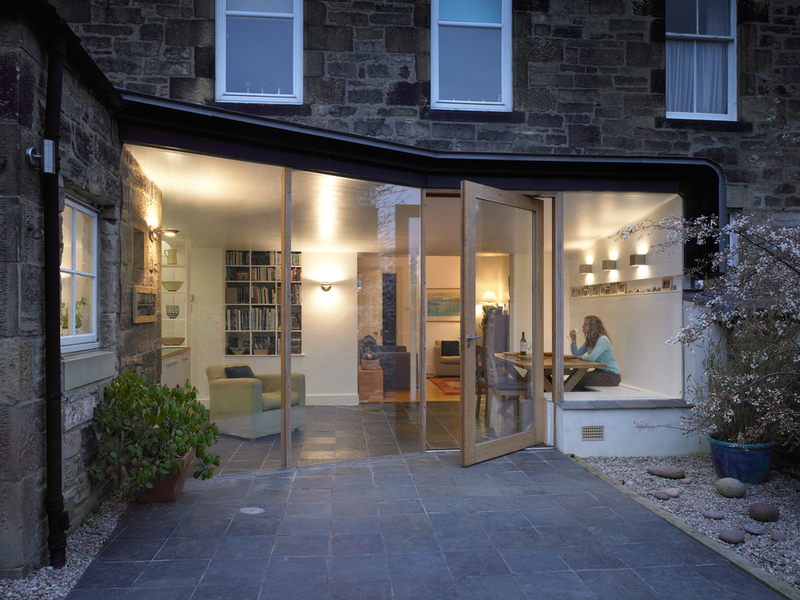 This is a small but intricate extension and rearrangement of an end of terrace house. A curved zinc roof plate projects out into the garden. 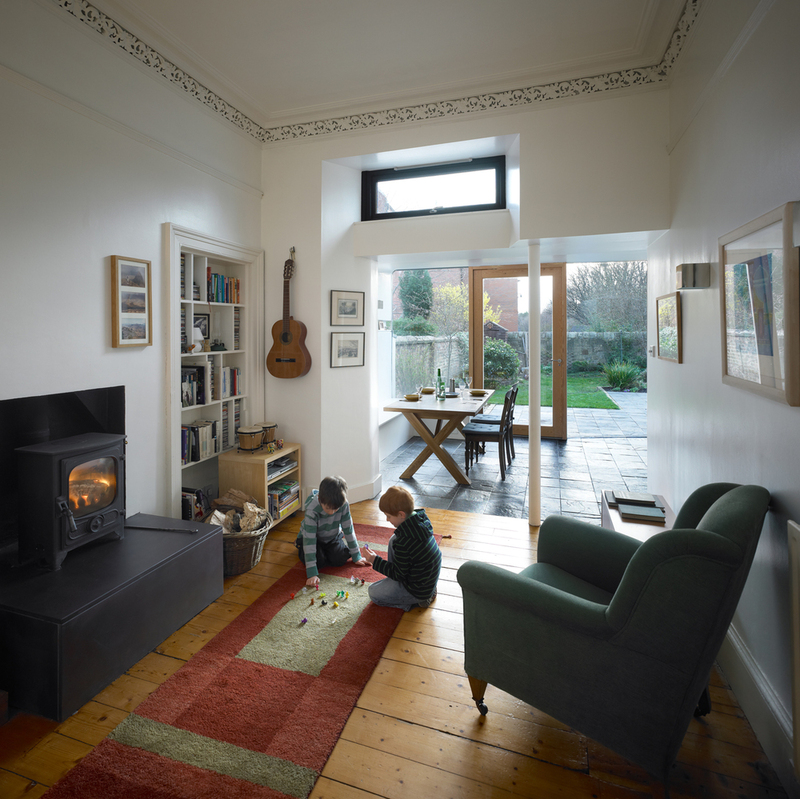 The original house is cut into and carved out to let light deep in to the plan and create interlocking, but broadly open plan spaces. The new spaces incorporate living, dining, kitchen, bedroom & porch. Completed 2008. Featured in the Scottish Government's 'Inspirational Projects' collection.